We were all enamored by The Follett Collection from Canadian paper artist Calvin Nicholls. 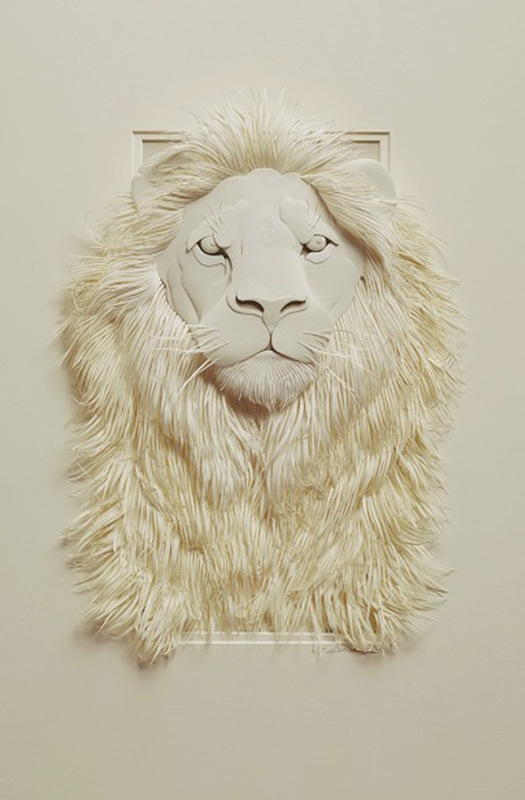 He now continues to create hyperrealistic wildlife that features birds, bears, and foxes rendered in relief sculpture. Despite working in monochromatic palettes of white and off-white paper, he instills a sense of liveliness and realism in these animal portraits. 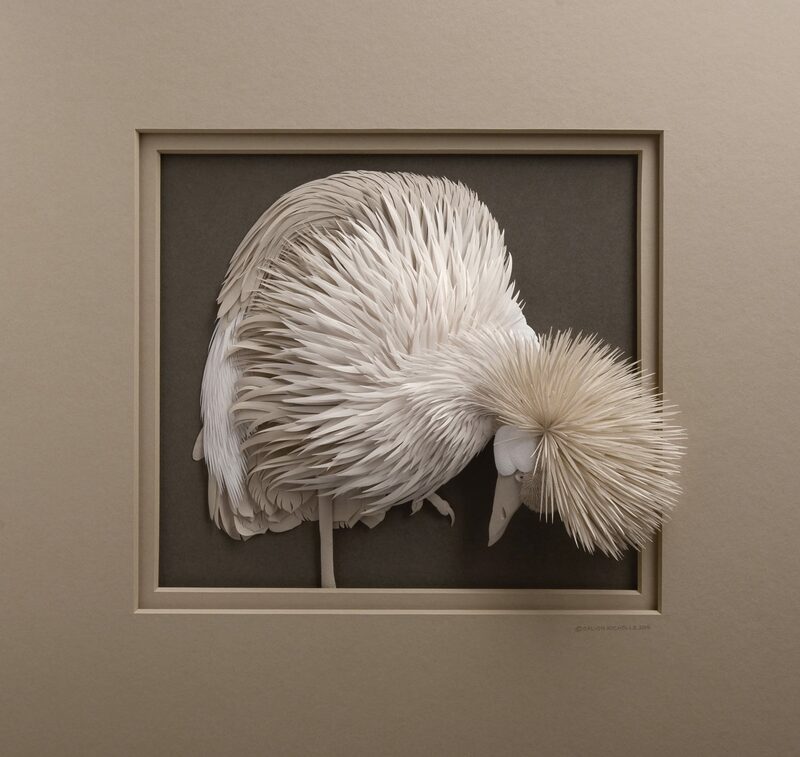 Hundreds of slivers of paper fan the curvature of each creature with their respective feathers and fur and the lifelike creatures are shown in a naturalistic pose—snuggled down for a rest, or wings stretched in flight.